On Friday 26th June 10 year 5 children represented Chilcote at a tag rugby tournament. The tournament took place at Kings Norton Rugby Club. The tournament was themed around the upcoming Rugby World Cup. Each school was given a country to represent – Chilcote were Samoa. The children did some research about Samoa, learnt a Hakka and the words to the hymn Jerusalem. Chilcote started with a match against South Africa. They played really well and blew their opponents away with a few early tries. The game ended 7v3 to Chilcote. Next, Chilcote played against Japan. In the first half they were excellent and went into a 5v2 lead. However, in the second half the children made a few sloppy mistakes and Japan not only managed to level the game but scored a last second try to win the game 6v5. Then, Chilcote played against Scotland. They started really well again and carried this on throughout the match. The final score was 6v3 to Chilcote. Finally, the children played against the USA. They were the best team they had played so far. Again Chilcote made a few sloppy mistakes which meant unforced errors. The game ended 8v5 to the USA. 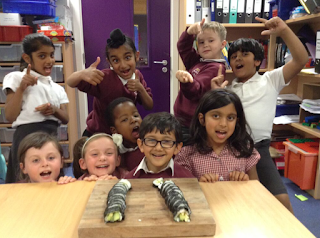 These results meant that Chilcote finished in third place in their group. This meant they didn’t qualify for the quarter finals but went into a group against the other third place teams. In the final 3 games the children won one, drew one and lost one. With all of the results in for all of the games on the day Chilcote finished an impressive 10th out of twenty schools. Well done to all of the children involved who represented the school brilliantly! 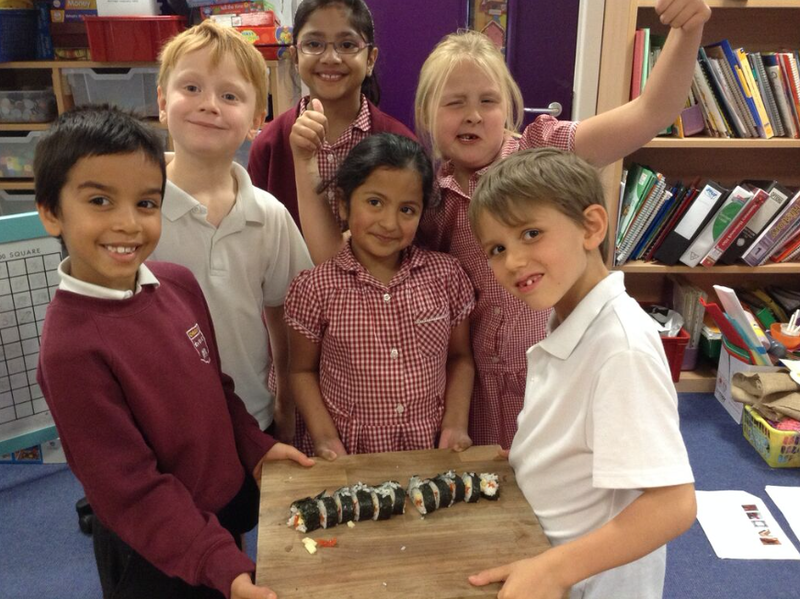 Health Week in Year 3! 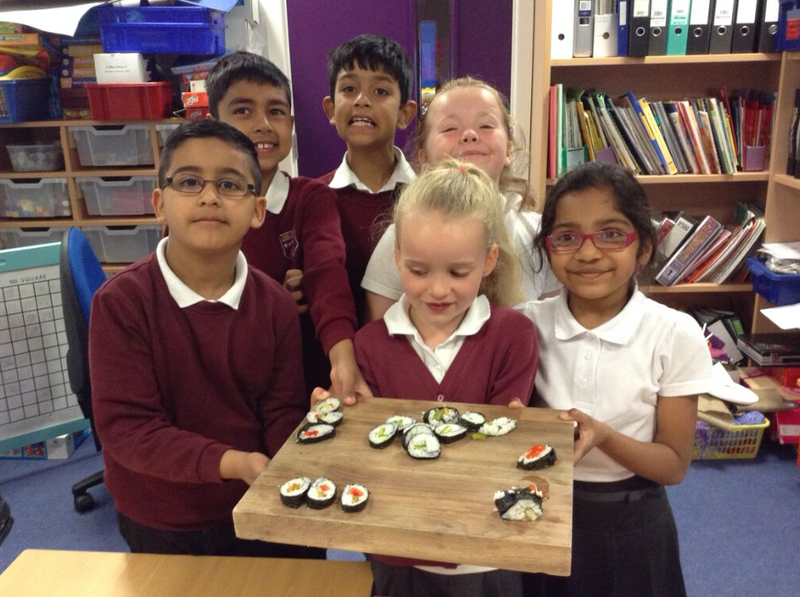 During Health Week Year 3 have learnt how to prepare a healthy meal, who to call help from in an emergency and learnt about the importance of a healthy lifestyle. Throughout the week the children had the opportunity to learn about healthy foods, exercise, hygiene, dangerous household products and what keeps our bodies healthy. As a whole school the children took part in special assemblies including one lead by Lord Hunt, who was interviewed by the student council. The children also met with firefighters and explored their fire engine in school and the children received some first aid training from St John ambulance paramedics. 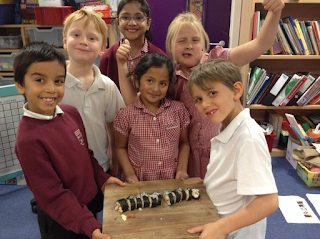 Year 3 also went rock climbing, took part in a house quiz and undertook a cooking DT food project. The children have had a fantastic learning journey during Health Week and thoroughly enjoyed some of the excellent opportunities for active learning. A year 3 child tucking into their fruit kebabs, which they designed, prepared and ate! 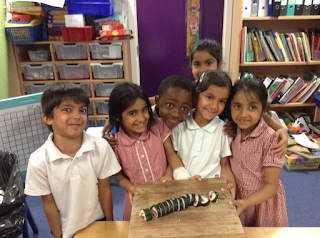 Year 1 have had a fantastic week trying out lots of activities that will help us to be healthy. We have learnt about the importance of hygiene and being clean. 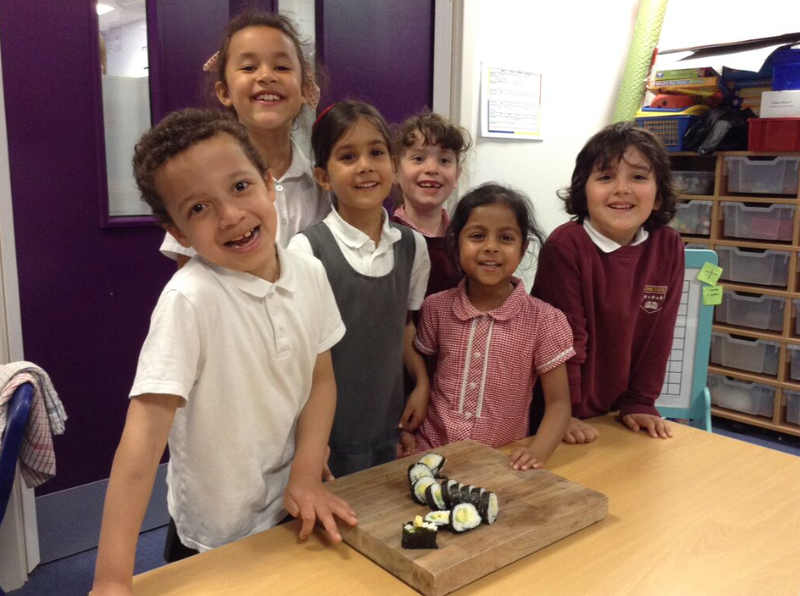 We have designed and made delicious oat and honey biscuits. We have had lots of people come to talk to us about keeping safe; St. John’s Ambulance, a Paramedic, Fire Fighters – they even let us squirt water from their fire hoses! We have taken part in a rock climbing session and we listened to a talk from Lord Hunt. Every morning we have started the day with a Wake-up Shake-up session. On Wednesday 1 Fir had a wonderful day in the fresh air when they took part in their Forest School taster day. We can’t wait for Health Week next year!! On June 26th Lord Hunt (who actually prefers to be called Philip) came to visit the pupils of Chilcote Primary School, as part of our School Council arrangements and Chilcote's Health Week. At 9:00am, in assembly, the Lord completed a Q&A session in which the School Councillors had the opportunity to ask some difficult questions and hear a response from a politician! The answers were really impressive and the Lord even suggested who he'd prefer to win the upcoming Labour Leadership Contest: Andy Burnam is his choice! Interestingly, Lord Hunt also said that his most difficult time was when he has suggested reforming the House of Lords from appointed to elected peers. As well as this, he told us all about the House of Lords and the House of Commons at Parliament. He spoke about what happens at both places, and the differences between the Houses. Lord Hunt also told us that the Palace of Westminster is actually falling down!! As a result of Lord Hunt visiting, we learned lots of new things, such as: why he was interested in politics, and that he was a disappointed about the recent general election result (Lord Hunt is a Labour peer). 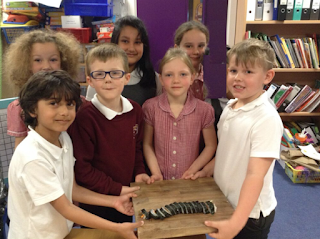 This was an amazing time for everyone at the school, but especially the School Councillors, and all the children learned a lot. To end his terrific time at Chilcote the Lord had a tour of the school from the Year 6 Visitor Monitors. Thank you to Lord Hunt for visiting and taking the time to answer our demanding questions!! Health Week in Year 6. 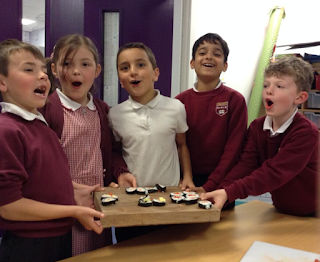 This week Year 6 have been doing lots of things for health week, such as: making healthy meals, taking part in the health week quiz and rock climbing (we even got to meet a member of the House of Lords)! 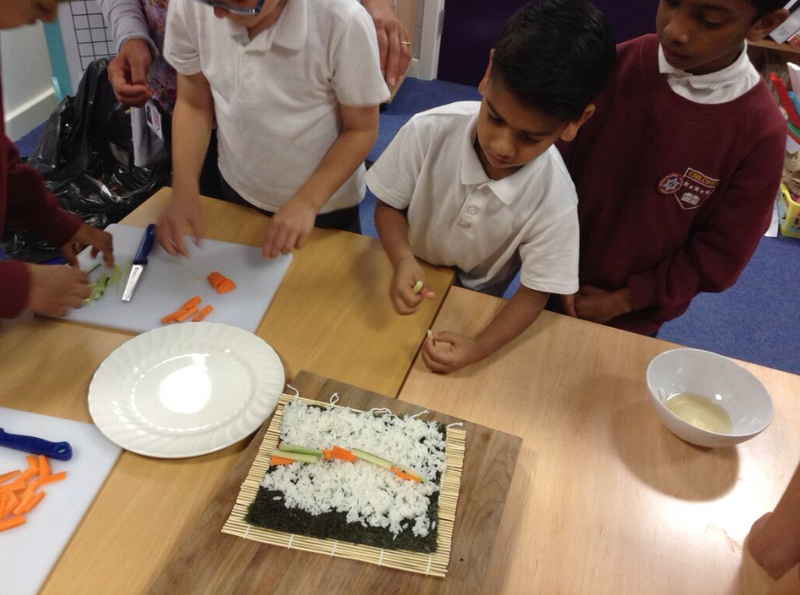 Firstly, Year 6 created delicious curries, which were accurately planned and carefully made to serve to the teachers. 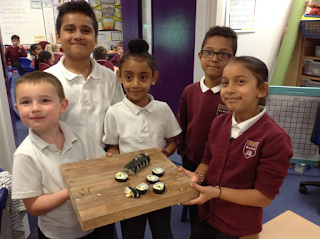 There were hot, medium and mild healthy curries; all of them were of outstanding quality and had an enticing flavour which made the teachers give them high marks out of ten! Next, we all took part in a challenging quiz to test our knowledge on how to be fit and healthy! Every house did fantastically and tried their best to win. Everybody learnt lots from the answers! We can’t wait to find out who were the overall winners (KS1 also have a Health Quiz) during the next assembly. Finally, every class in the school took part in an exciting sport: rock climbing, using a climbing frame that was put up in the playground! Everybody climbed the tall tower using teamwork to pull them up and safety ropes which enhanced our confidence. It was a fantastic opportunity to try something new! Everyone tried their best and managed to get up on to the wall! Year 2 Design Technology: Super Healthy Sushi! This week is Health Week at Chilcote and Year 2 have been designing, creating and evaluating healthy vegetarian sushi meals. Well done to all the children for trying the seaweed nori sheets! On Wednesday 1 Fir went to Forest School. They had a super time playing games and finding out about different trees. They are really looking forward to going again when they are in Year 2. Year 1 become garden designers! Year 1 were set the task of designing their own garden as part of our Flowers and Insects topic. The children were able to choose their own media to use and could make their garden as big or as small as they liked. 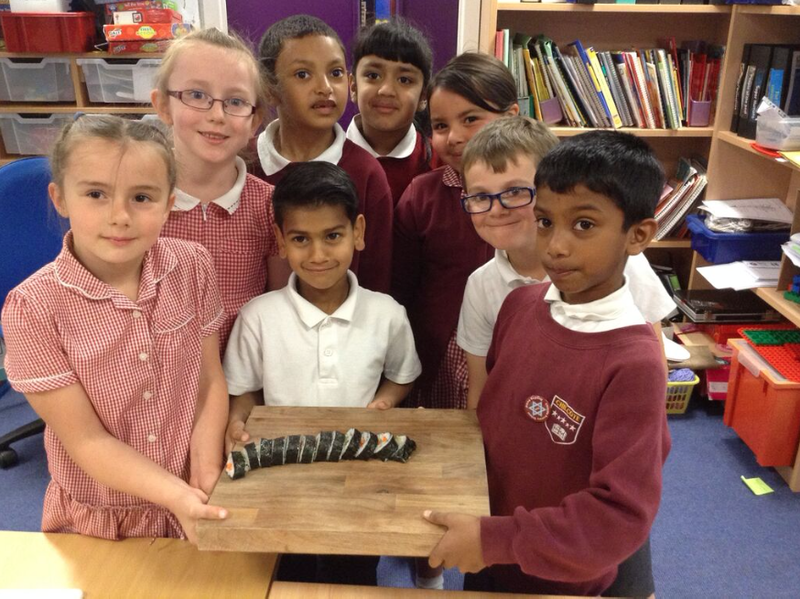 The gardens that arrived in the classroom last Friday were fantastic and the whole school came to see them! 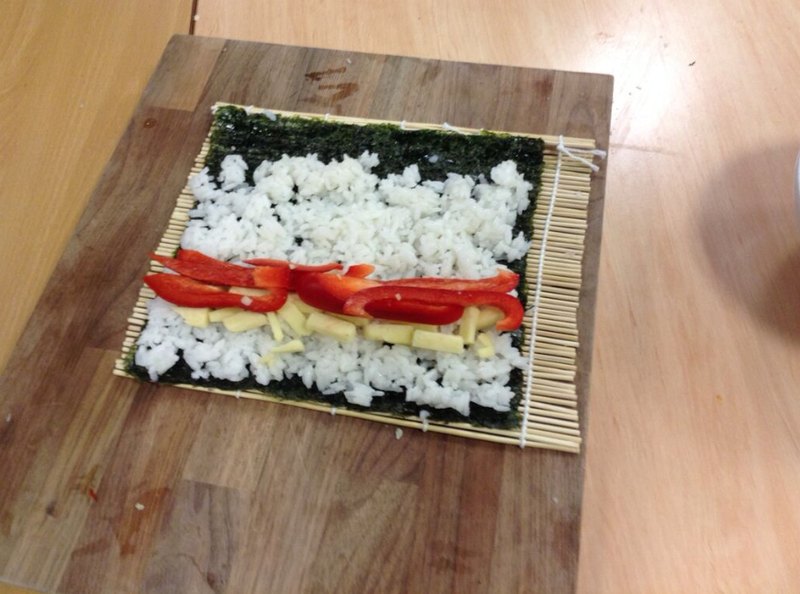 The teachers were very impressed with how much time and thought had gone into this project. We observed a pathway made out of oats, seesaws, slides and bird tables made out of a variety of materials as well as vegetable patches with pretend and in some cases real fruit and vegetables growing! Take a look at our fantastic gallery! Year 1's visit to Plantasia. World of Work, Enterprise Day & First Aid Course!